There are few things that are more disruptive to a business than interrupted power supply. 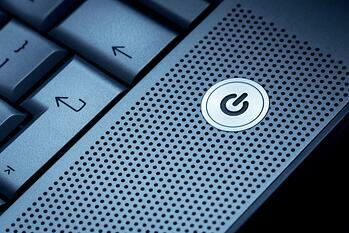 Whether your business relies on computers alone or complex machinery, it cannot operate without power. In areas where power failures, blackout or brownouts are common, or where equipment uptime is critical at all times, that means that you need a backup plan. 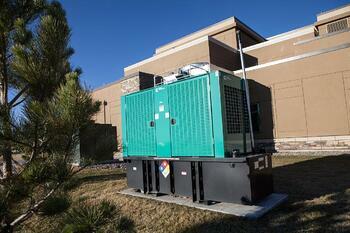 The two primary options are a backup generator or a UPS system. Here are the pros and cons of each. Backup generators use propane, gasoline or diesel to generate power, and they are available in a range of sizes, from small portable units that can power one or two items, to large, wired in versions that can power an entire factory or warehouse. Smaller units are relatively easy to come by, and simple to operate, while larger generators can take time to arrive from a manufacturer, and will definitely require professional installation. The downside to generators, aside from their fuel requirements, is that there is a lag between the power going off and the generator starting up. That lag can be as much as thirty seconds, depending on the size and configuration of the generator unit. Generators can also be noisy, give off fumes, and while they are usually fairly simple machines, you will still have to have a contractor inspect them from time to time. UPS systems, also known as Uninterruptible Power Supplies, are essentially very sophisticated batteries that are installed as an element of your power system. While the power is on, they charge on the current flowing through them, building up a store of power, and when the power goes out, they continue supplying power from the backup they have built up. There is no lag or delay with UPS systems, which makes them great for critical installations where power must be stable at all times. 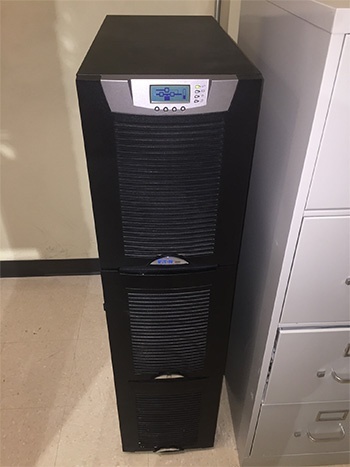 They are also available in a variety of sizes and types, including personal UPS systems, which can be used to ensure that computer systems remain on long enough to shut down safely (well worth the investment for any business) to large units that can power your whole building. UPS systems tend to be expensive, and they get more expensive the longer the battery back-up time provided. Because they are based on batteries, they can also be trickier to maintain and service. If you are looking for a solution that offers the best of both worlds, you could design your backup power supply to power critical systems using UPS power, while other elements of your business run off a backup generator. There are many possibilities, and if you are concerned about power quality and backup power, it’s a good idea to discuss your needs with an electrical company, who can advise you about your options. You may even decide to install backup solar or wind power, or to use some other method to power just the elements of your business that cannot be interrupted. Nearly everyone remembers taking a balloon as a kid, rubbing it on your sweater or a woolen blanket, and holding it above your head to make it stand on end. It was fun to play with static electricity when you were younger. We’ll even admit that it’s fun to rub your feet on a rug and deliver a shock to an unsuspecting passerby. However, while those games may be fun for children, there are worse consequences to static electricity. Here’s what you need to know. The same static electricity that was fun when you were a kid can be potentially dangerous in the wrong situations. One such situation is when there is gasoline or another airborne flammable material in the air. In those situations, the sparks from static shocks can ignite the airborne gas, causing a potentially dangerous explosion. Static shocks can also, in very, very rare situations, be potentially dangerous to people with pacemakers. While it is highly unlikely that you would be injured as a result of static electricity, even though it is possible, it’s far more likely that electronics including computers and other office machinery, could be damaged by static discharge. Basically, electrostatic discharge, or ESD, is a tiny, miniature version of lightning, and it can be just as destructive on the micro level of circuit boards. The energy from the shock travels through the nearest object, in this case the circuitry of the electronics, and destroys critical elements along the way. Technicians working on electronic equipment should use an ESD wrist strap, which helps to dissipate charge away from the circuitry. Avoid placing synthetic materials such a plastic and polystyrene near electronics. 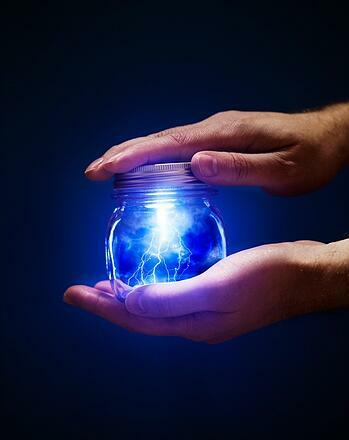 These materials are commonly the cause of static discharge. Avoid using compressed air to clean circuit boards. Only use non-static forming sprays on electronics. Treat carpets to prevent static buildup, and invest in static proof mats if you still have trouble. Restrict access to computers and other electronics to staff or contractors who have experience in working with them, and who know how to prevent static discharge. Static charges can destroy electronic equipment. So can power surges and electrical storms. Take precautions to avoid damage by static electricity to your delicate electronics, and speak to your commercial electric company to make sure that your office and business premises is adequately protected against power surges. Surge protectors, ensuring that your building and electrical systems are properly grounded and setting up “Zones of Protection” within your facility can all keep your equipment, electronics and people safer. This is particularly important for items like your server, where critical data is stored. The simple fact is that unregulated, unexpected power is bad for your electronics and equipment, whether the cause is your feet on the carpet or a lightning strike during a storm. It’s always better (and cheaper) to be safe, rather than sorry. 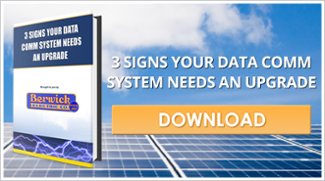 Can Your DataComm System Handle Your Needs? It used to be that if you heard someone talk about “data” you assumed they were in the software business. Not anymore! No matter what industry you’re in, your business runs on data—on information. It doesn’t matter if you’re in retail, construction, manufacturing, food service, finance, the medical industry, or software: you need reliable access to run your business effectively. Another thing that’s changed over time is the systems that are required to handle all the data we use. There was a time when all you needed to do was to run a cable from one computer to another and you had your “network.” Today’s systems are a lot more complex—and require skill, training, and experience in order to install them properly. Our dedicated DataComm division can provide turnkey solutions that include full design, installation, and regular service of your communication systems. And we’re constantly training and re-educating ourselves to keep abreast of the needs of a wide variety of industry applications. So whether you’re building or remodeling a commercial property for yourself—or for tenants—we can help you be sure you’ve got the data communication systems in place that deliver what today’s businesses need to succeed. 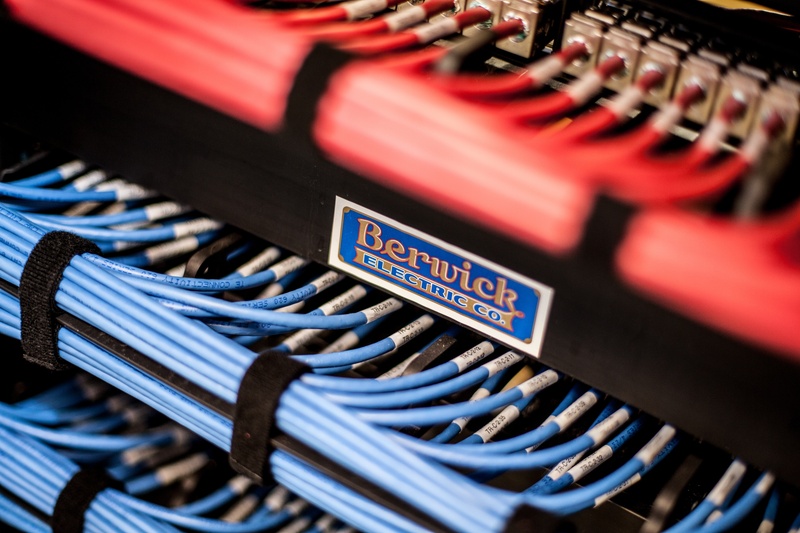 Give us a call today at (719) 632-7683, or send us a note at mail@berwickelectric.com for more information about how we can meet your specific DataComm needs. Many people don’t realize the effect that light has on us, but the truth is that humans are enormously photo sensitive. It is light and dark that determines our Circadian rhythms, and sets our body clock. That explains why office lighting quality is proven to affect productivity (not to mention a documented OHS concern in many occupations.) If you suspect that your office lighting is affecting performance, then there are several things you can do to improve the situation. If you don’t already have energy saving lighting installed in your office, make sure that you design new lighting systems to take advantage of CFL, LED and other technologies. They can save you a bundle on energy costs. Understand that different tasks require different levels of light to ensure alertness and productivity. For instance, the minimum lighting requirement for computer work stations is 50 foot-candles. More complex tasks require more complex lighting, to ensure that work can be carried out safely. 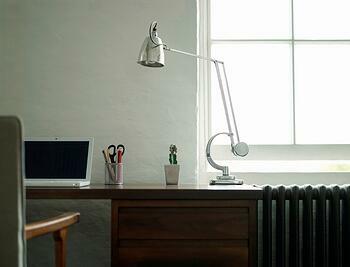 As mentioned before, lighting is critical to wakefulness and productivity in your office or commercial building. It can even influence customers shopping habits! It’s also a health and safety issue though, and if your commercial lighting is not up to standard, particularly where complex or dangerous tasks are being carried out, you could find yourself in hot water. Older buildings tend to have what is known as “knob and tube” wiring. This in itself is not an issue, until it’s altered, chewed by rodents or otherwise compromised. Then it becomes one of the leading causes of electrical fires, according to insurance companies. Another major electrical fire risk factor is that old wiring can sometimes be rated for lower amps than is required by modern appliances and business equipment. This can result in the overloading of circuits, which can also cause electrical fires. Replacing breakers with arc faulty circuit interrupters can be one solution to wiring problems like this in older premises. In older buildings, particularly those from the early twentieth century, it’s not uncommon for wiring to have been tinkered with over the years—often by people who had no electrical training. This can mean that there are loose live wires, badly executed connections and other problems lurking behind the walls of your commercial building. Insulation on older wiring tends to be less than perfect. Over the years, it may have been chewed by animals, damaged by screws or nails being placed in walls, or simply become brittle or disintegrated from age. 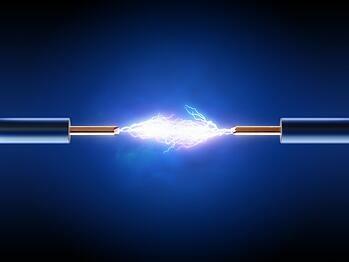 This leaves the wire at the core of your wiring exposed, and that can lead to sparks and fire. It’s not only the wiring that is a fire risk in older buildings. If your commercial panel hasn’t been upgraded recently, then it’s entirely possible that the switches and breakers that make up the circuits might be faulty too. If they’re not working correctly, your electrical system won’t do what it is supposed to do, and it may be downright dangerous. Poor design is another major problem for older electrical systems. Depending on the age of your building, your electrical system may have been designed to meet codes that were in force 50 or even 80 years ago. Codes and standards have changed a lot since then, and there’s a good chance that your electrical wiring would not pass an inspection—if you had to have one. 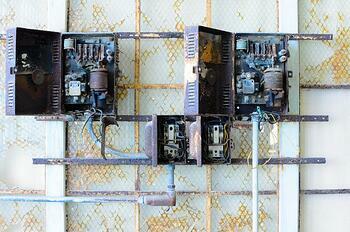 The truth is, your building doesn’t need to be very old to have outdated electrical work. If it was built in the 70s or earlier, there could be some electrical concerns hiding in your walls. If you’re not sure, then the best idea is to have a qualified commercial electric company take a look, and make sure there aren’t any major fire risks. When Is a Bargain Not a Bargain When Bidding a Commercial Electrical Job? The Hidden Costs of a Low Bid. Everybody loves a bargain. Nobody wants to pay more than they have to for products or services—even if you’re responsible for a huge commercial building or rebuilding project. Chances are you’ve got a tight budget to work with and if you can save a few dollars it takes a little of the pressure off. There are times, however, when a “bargain” is really no bargain at all—especially when you’re involved in something as complex as installing the electrical system in a commercial building. We’ve all heard that you get what you pay for. 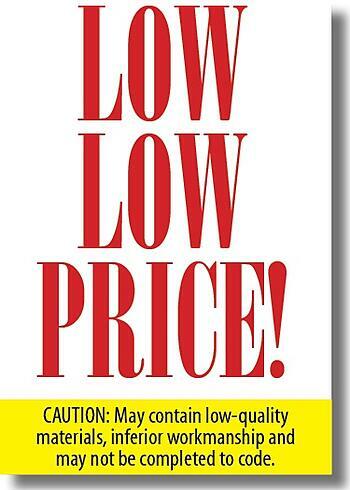 Quality doesn’t come cheap. And while pricing needs to be competitive, accepting a bid based on a low price alone can really come back to hurt you—especially when there is so much riding on the results. Safe and consistent power is essential for businesses, whether it’s your business that will be occupying the space you’re furnishing or whether you’re finishing the space for a tenant. If you have safety or quality issues with your electrical system, your business won’t function well. Or if your tenant constantly has complaints about the system you had installed, he or she could easily move out. Either way, that costs you money. And chances are, it will cost you more than you saved on the low installation bid. Of course, there’s also the issue of meeting codes. Electrical codes are complex—and they change all the time. The most recent National Electrical Code Handbook contains 1,270 pages! You want to make sure you’re dealing with a company that knows how to install to those codes. In addition to safety concerns, you can end up paying hefty fines for non-compliance—and paying again to have your system brought up to code. Generally speaking, the two biggest factors affecting the price of your electrical installation are materials and labor. Material costs aren’t going to vary that much from one supplier to another. That means differences in pricing (for the most part) are going to come down to the people who install for you. Contractors who simply “run wire” for you are going to be cheaper than skilled and trained workers who make sure that the job is done right and that it’s up to code. Berwick Electric's apprentices are required to complete a five (5) year program consisting of 250 hours per year of schooling and 8,000 hours on-the-job-training administered by our Joint Apprenticeship Training Committee (JATC.) The JATC also offers Journeymen Wireman (JW) upgrade training. Wave farms use equipment installed off or near shore, on the ocean, to capture the energy of waves, and turn that energy into power. It may sound like something out of a sci fi novel, but it is already being used in the UK, Portugal, Russia and the USA! Geothermal power plants use tunnels drilled deep into the earth to heat water and create steam. That steam is used to power turbines, which then generate power. That might sound strange, but there are twenty-four countries that generate power from geothermal sources, with several (including Iceland!) generating more than fifteen percent of their power this way! Parabolic trough solar farms use curved sections of metal, bent into a “parabola” to collect solar heat, and reflect it onto a pipe filled with fluid which then flows to the power plant, where it is used to heat water and create steam, and the steam generates electrical power. Parabolic trough plants are widely accepted including in the US, and the world’s biggest one, generating 354 MW, is in California! 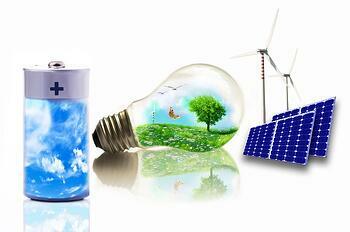 Photovoltaic power, also known as PV technology, is the type of solar power we are all most familiar with. These are the solar panels that we are all used to seeing. However, with improvements like thin film technology, PV solar power is becoming more accessible and affordable, and is likely to increase in popularity. Wind farms are another one of the more common alternative power generation sources, and it is a common sight to drive past dozens of turbines silently generating power along the highway in many parts of the world. Did you know that many countries, including the UK, have many of their wind farms on the ocean? Rather than take up a little land, they have opted to take up none! In India and elsewhere in the world, plants have been constructed that capture methane gas from sewage travelling to treatment plants. That gas is used to power generators, which create electrical power! With green building being such an important consideration these days, more and more building owners are considering taking their commercial buildings fully or partially off the grid. While you may not be able to use wave or geothermal generation in a commercial building setting, you can definitely use solar and wind technologies to power some or all of your building systems in a more cost effective, more environmentally friendly way. A commercial electrical company can certainly advise you what you need to install to meet your needs, and how to integrate your alternative power sources with the power you get from the grid. Most people do not think of power and data at the same time. We have become so used to having computers around, and so used to them storing our information, entertaining us and helping us to connect that we hardly think of them as appliances at all. However, since computers rely on power to operate, electrical supply and electrical problems can have a big effect on them. In this article, we look at the relationship between your commercial power supply and your data, and offer tips to reduce risks. It is not only when there is an unexpected power outage and you lose the work that you were busy with that power affects computers. Computers are complex electronic machines, with delicate circuit boards and components. Many of those components can only cope with a particular voltage, which means that power spikes can overload them, resulting in component failure. When components in your computers fail, eventually the whole computer will fail. Aside from physical damage that can and does occur when power supply is not stable, software can also be corrupted, work lost and even networks disrupted. Worse yet, if your data server is not properly protected, you could lose the hub of your computer network because of power issues. Invest in surge protectors. These look like regular power bars, but they have built in fuses. This means that when there is a power surge, the surge protector is fried instead of your computers. 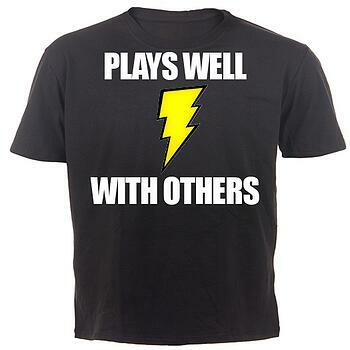 Will Your Commercial Electrical Contractor Play Well with Others? It’s always a good idea to hire an expert for an important job. Sometimes, however, experts can be a little hard to work with because their knowledge and expertise can make them a bit unapproachable. They don’t really play well with others. When you’re hiring an electrical contractor, you want to get the best around. You want someone with background, knowledge, and experience. But it’s important that you find a commercial electrical contractor who also plays well with others, and who understands that—while his or her work is absolutely critical, it’s part of a bigger plan. We’ve been doing Commercial, DataComm, and Residential electrical installations since 1921; not only in the Colorado Springs area, but also nationally and even internationally. We know that nobody installs a sophisticated electrical system just so that they can show it off to their friends and colleagues. The electrical system has to work with the rest of your commercial building to deliver the power you need to run your business efficiently. We also know that in order to make that happen, we need to work hand-in-glove with your general contractor as early in the planning process as possible. If we don’t, you won’t get the results your want. So we’re happy to bring our skill, knowledge, and experience to the table and work with others to achieve the best possible solution for you. The general contractors we’ve worked with seem to appreciate that approach as well. We had done several projects over the years in Colorado Springs and had heard very good things about Berwick Electric. It was our first experience working with them and they proved to us through the course of the project that they were the true professionals that we had heard about. They were the quiet, unsung heroes during the project. It’s all about working together to provide you with a superior overall experience in your commercial building. And besides—playing well with others is a lot more fun! Many people choose the charm of older buildings over the cookie cutter look that some new developments offer. They like the old architectural features, and the quirks. What they probably do not like, or would not if they considered it, is old, potentially dangerous wiring. Let us face it – it is far more interesting to work in a building with a history than something that was slapped together with cinderblocks a handful of years ago. Knob and tube wiring was a popular type of wiring, often for residential buildings. However, with many of today’s commercial buildings having a history as residences and vice versa, you really never know what you are getting. Most knob and tube wiring out there is about eighty years old, and likely not in the best shape. If you are considering buying a commercial building from a bygone era, make sure that you get an electrical contractor to inspect the wiring, and make sure that you will not be facing the replacement costs. What Happens to Old Wiring and Electrical? Poor or missing insulation, which means potential exposure to live wires. Shorts that could potentially be fire hazards. Lack of or poor grounding. In addition to these general problems, old wiring is sometimes not capable of running modern lighting, appliances, and computer systems. This can lead to overheating and fire hazards. What Should You Do Before You Purchase a Historic Commercial Building? If you are considering buying a historic commercial building, then it is critical that you have a detailed, in depth inspection of the electrical system before you make any decisions. Use a commercial electrical contractor who knows what to look for and where, and who can give you an estimate of the costs to replace old, potentially dangerous electrical and wiring. Once you know what you are dealing with, there are two options: negotiate a drop in price from the owner, or accept that you will need to pay for the electrical replacement out of pocket. Because if you do decide to buy the building, leaving old wiring in place is just not a viable option.